Working with Michelle is completely different than working with medical professionals in traditional medicine. It takes a great deal of time to explain how the patient has come to this place in their health and what sequence of events took place or didn’t during the last 10 to 20 years of their lives. Other problems can be acute in nature such as picking up a virus or parasite…The patient has the time to relay why they are there and what their symptoms have been. The diet and lifestyle habits are also a topic of discussion as well. Products are an additional charge. Upon initial appointment, a written health history is to be filled out or have the Clinic send you a copy and then bring it with you. So please come to your initial appointment 15 minutes early if you need to fill out the form. Booking appointments: call the clinic at (905) 304-0111. Typically, assuming a patient is seeking help with only one or two main health concerns, most clients see Michelle on average for 2-4 appointments over 3-4 months. She will try to help remedy your situation as quickly as possible. Generally, appointments are scheduled two weeks out or longer depending on the health circumstance. Most people who come to Michelle have multiple issues (5-7-10 complaints) that require attention. For example someone may have high blood pressure, high cholesterol, IBS, acid reflux, anxiety and thyroid issues. In this example, there are simply too many problems to fully address in the first appointment but having said that Michelle does cover as many as possible, especially by way touching on the protocols for reversing these conditions. Many times they are interrelated like gastritis and gut dysbiosis diseases, for instance. For recommendations Michelle makes, you will be able to pick up a few items. The clinic is in no way a health supplement store. Michelle’s asks the clinic to carry a few essentials only. She supports all Health Food Stores and will highlight which items you need to pick up. There are certain items or herbal remedies which fall under a natural prescription category, which means you may only be able to acquire them through professional practitioners. Professional guidance may be required by governing bodies. When patients are able to follow more rather than less of Michelle’s recommendations, they usually notice a change for the better within 2 weeks and often times in 7 to 8 days. They feel themselves getting stronger and more energy initially. Michelle expects results. The only major factor that Michelle says slows down a healing process is ‘how many meds is someone taking”. 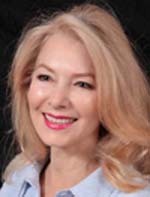 Initial Appointment: There is a lot of information discussed in the first appointment – primarily educating and understanding your health history and complaint. Michelle believes in patients understanding how and why they have come to the place they find themselves in. Working with infants and small children is common. Bring your “bundle of joy” to the appointments especially if the concern involves the child. Sometimes this isn’t possible but whoever comes will be informed on how to carry out the healing procedures. For teenagers and younger adults; Parent – it is best for someone to accompany the young adult to the appointments, especially if they are not doing their own cooking. The person who feeds the family is the best person to be at the appointment. But again it does depend on the issue being treated. 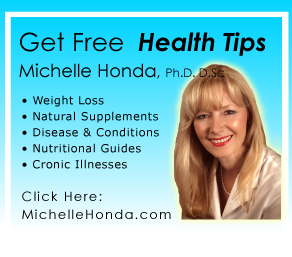 Michelle Honda is a Doctor of Holistic Health Sciences (PhD, D.Sc. ); not a medical doctor (MD), or a Naturopathic Doctor. An accurate reference is a Natural Health Doctor – her work is Naturopathic in nature. Payment for service is required at the time of each appointment. OHIP and WSIB do not cover her services. You may be covered by Private Health Benefits, but it is your responsibility to determine if you have this coverage. Check with your benefits company. Also check with your accountant for tax purposes and redemption at year’s end.